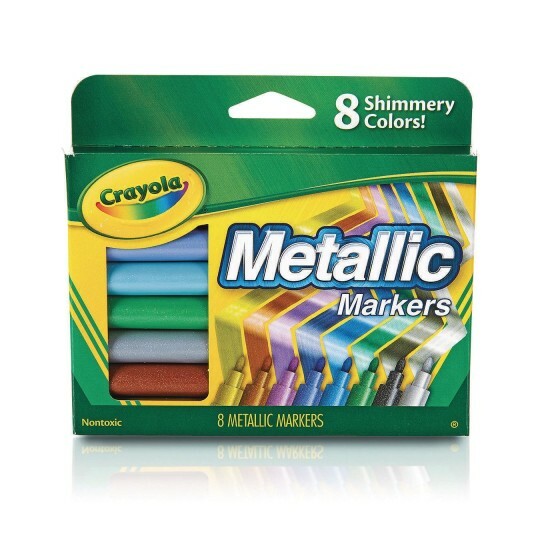 Add dazzling glitter or metallic shimmer to any coloring or drawing project. Metallic colors include Silver, Gold, Copper, Pink, Purple, Blue, Green and Black. Add dazzling glitter or metallic shimmer to any coloring or drawing project! Metallic colors include Silver, Gold, Copper, Pink, Purple, Blue, Green and Black. Non-Toxic. The colors are great! Much richer and more colorful than other brands. Would definitely recommend!